Camp Schafer - KENTUCKY WOMANS MISSIONARY UNION, INC. Girls, moms, and leaders, can grow closer to God in a beautiful environment. Campers will enjoy recreational activities, swimming, and nature crafts. Campers will learn how to take care of God’s creation. They’ll also explore God’s mission through Bible study, quiet time, worship and missionary time. Mothers and daughters and older girls and leaders will have some joint activities and some separate activities. Register HERE for GA and Mother/Daughter Overnight at Camp Schafer! 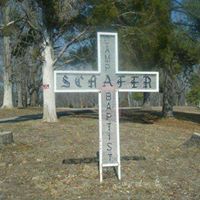 Camp Schafer is located in Hawesville at 152 Schafer Camp Rd. Our weekend begins with registration at 2:00 pm on Friday and ends at 2:00 pm on Saturday.